Have you seen the Sew Together Bag by SewDemented? I wouldn't be surprised if you've heard of it. I see versions of it everyday in my instagram feed. 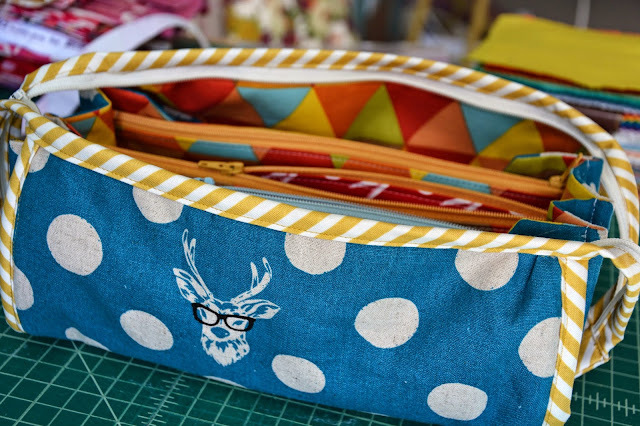 With the help of my friend, Amanda, I recently finished two of these awesome bags. The construction is challenging, but not out of reach! 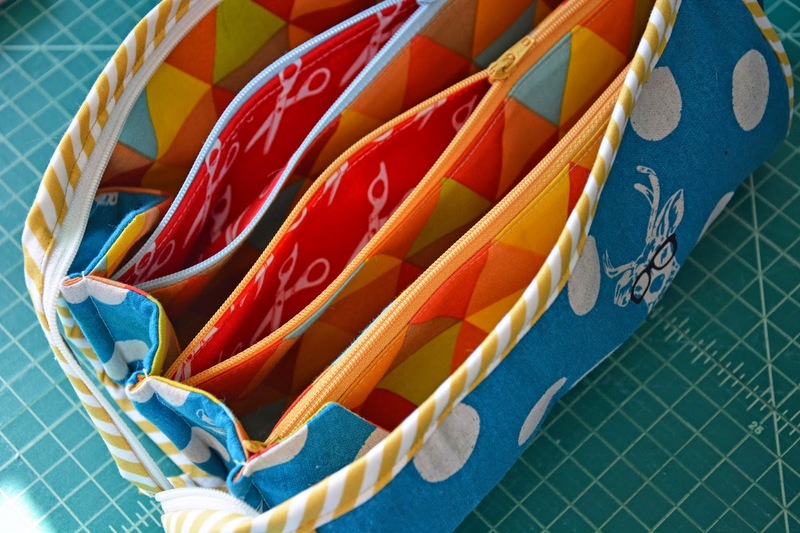 And any of these awesome linen blends would make an excellent exterior fabric! 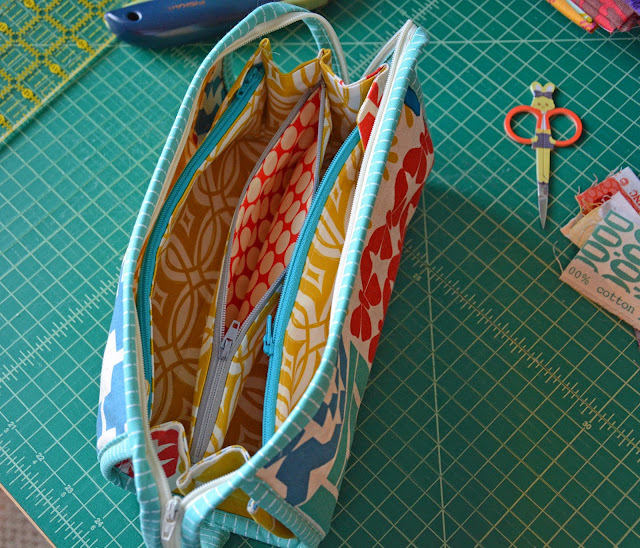 This is a roomy pouch, with three inner zipped compartments. 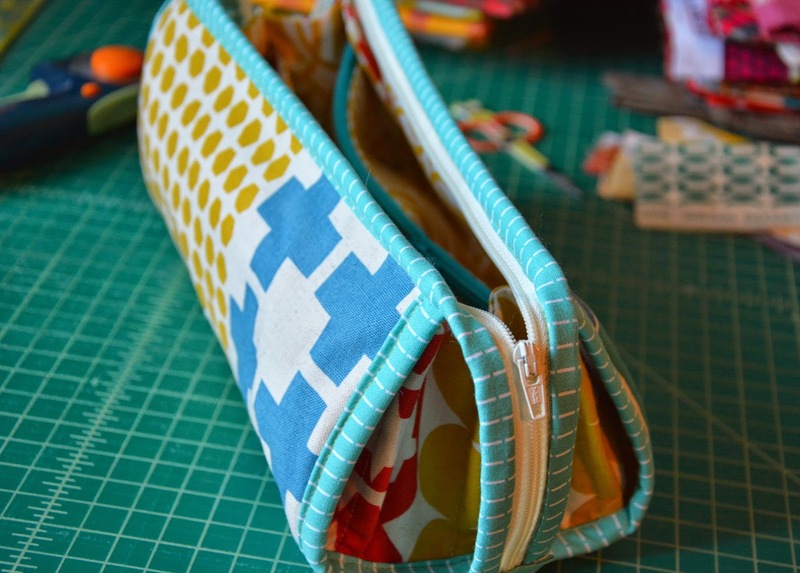 It would be great for a makeup bag or for sewing notions! You just need four fabrics and four zippers, so I encourage you to give it a try! And please add yours to the Pink Castle flickr pool, if you make one!